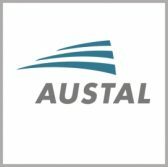 Austal USA has secured a potential $57.9M contract to obtain long lead-time materials needed to build a 13th expeditionary fast transport vessel for the U.S. Navy. The company will also provide production engineering services for the shallow-draft EPF 13 watercraft intended to support intra-theater transport of military personnel and cargo, the Defense Department said Thursday. In a separate announcement, Austal said it will use funds to procure ship components such as diesel engines, water jets and reduction gears. Naval Sea Systems Command received one offer for the cost-plus-fixed-fee contract via a competitive solicitation on FedBizOpps and will obligate $43.4M at the time of award from the Navy’s fiscal 2018 shipbuilding and conversion funds. The company aims to complete work on EPF 13 by November 2021 and noted that it currently builds three additional EPFs.